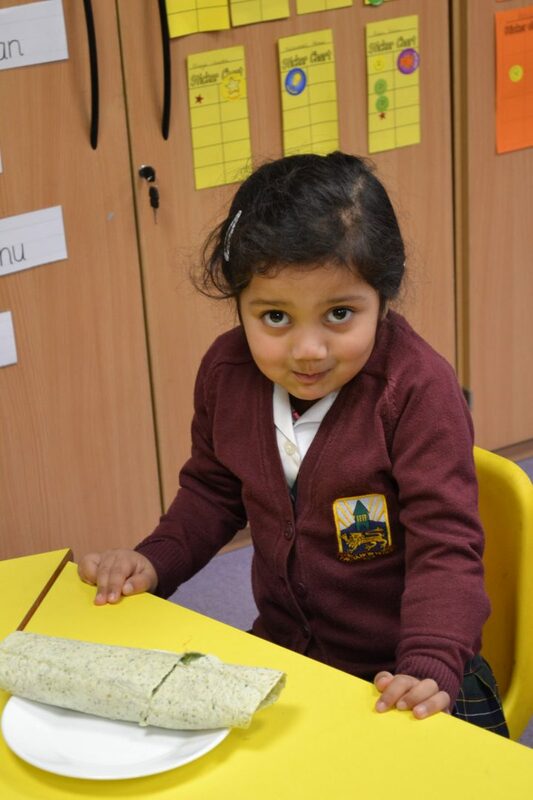 Children in Nursery & Reception took part in a fun workshop on exploring food yesterday. The interactive session was led by Clare Hedderman, nutritionist from our catering provider, Chartwells. Based on the Hungry Caterpillar story, the children identified all the different foods the caterpillar ate. They discussed which foods helped the caterpillar to grow and stay healthy and which foods made the caterpillar poorly. The children then took part in the edible art challenge, where they created a caterpillar made with a selection of fruits and vegetables. They even wrapped their caterpillars into a cocoon (tortilla wrap) and especially enjoyed tasting their creations!